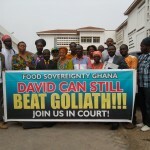 A grass-roots food advocacy movement of Ghanaians both home and abroad! 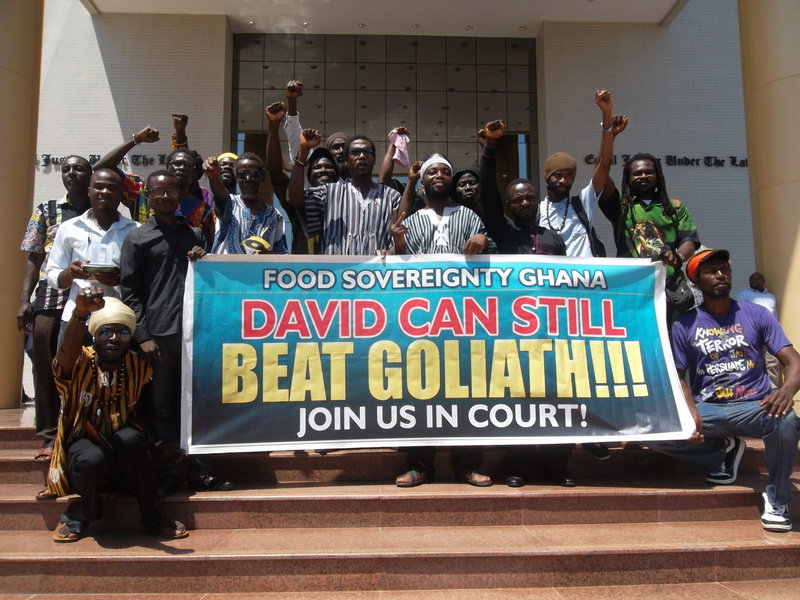 The Human Rights Division of the High Court in Accra was scheduled to reconvene the case submitted by lead plaintiffs Food Sovereignty Ghana (FSG) seeking an injunction on the commercialization and release of Genetically Modified Organisms (GMO) in Ghana on Monday October 12. However, due to some administrative challenges regarding the relocation from the High Courts to the newly constructed Judicial Service Building on John Evans Atta Mills High Street, the case could not be heard. A deputy Registrar of the judicial service informed the waiting court that the case had been rescheduled to October 20 when the new judge, Sir Justice Dennis Adjei would preside over the case. The original Judge, Justice Kofi Essel Mensah was recently implicated in the bribery scandal that has rocked the judicial service. The Chief Justice has, as of last week, directed that seven judges including Judge Mensah be suspended from the Judicial Service pending investigations by a Committee. With this latest development and to the delight of millions of concerned Ghanaians, the temporary ban on the release and commercialization of GMO as sought by the injunction application continues to remain effective. The final judgement has great implications on the future health of Ghanaians and the biodiversity of the national environment and FSG is encouraged by the efforts of the Judicial Service to uphold the highest standards of judicial practice. FSG is equally pleased to note the level of interest being shown in this case both nationally and internationally.